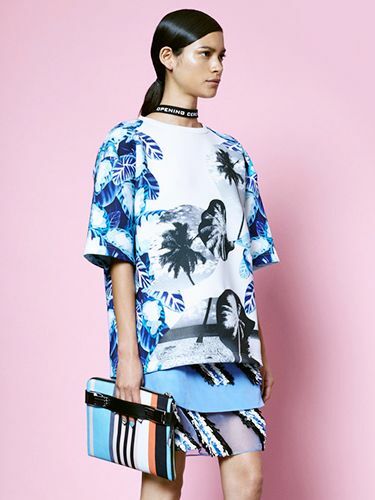 As we've already seen, Resort 2015 season so far has been really strong—from Zimmermann's breathtakingly gorgeous photography to Opening Ceremony's dreamy tropics-inspired collection. Now Elizabeth and James has presented their entry to the Resort 2015 game, and we have to confess: it's a strong one. The lineup is essentially an ad for how to wear pool slides with any outfit this summer: from a casual sweater-and-full-skirt combo to a white jumpsuit, Mary-Kate and Ashley Olsen seem to stand firm in their belief that the on-trend shoes go with everything. And, honestly, we're on-board with that belief. Check out our favourite looks from the collection below!